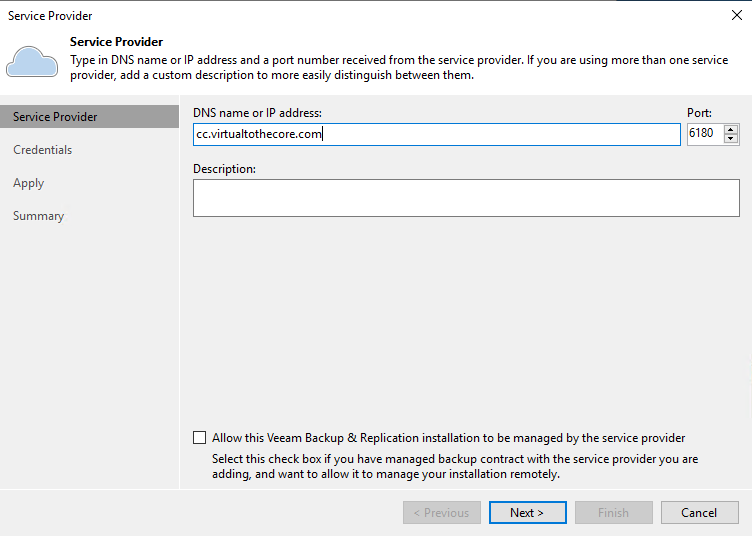 Once a customer has subscribed to Veeam Cloud Connect backup resources, he can start immediately to consume them. 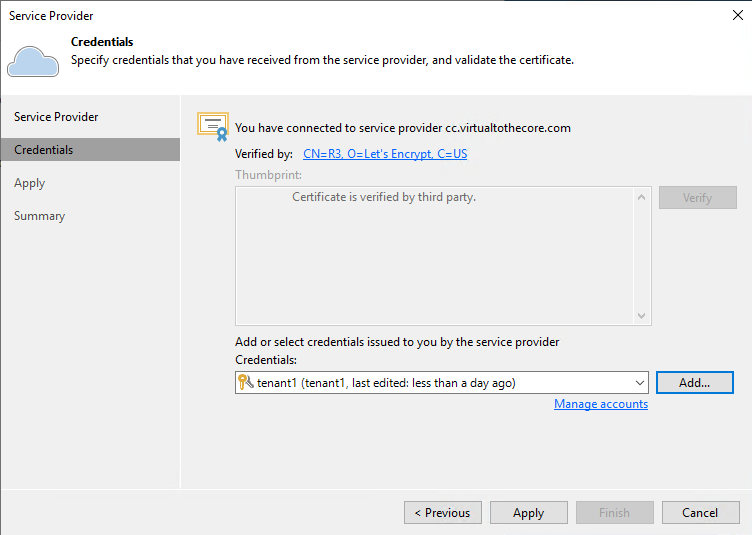 As explained in more details in chapter 9.1, the certificate is issued by a recognized Certification Authority, so no security warning is raised. In the same step of the wizard, the customer will add the username and password created for him by the Service Provider. 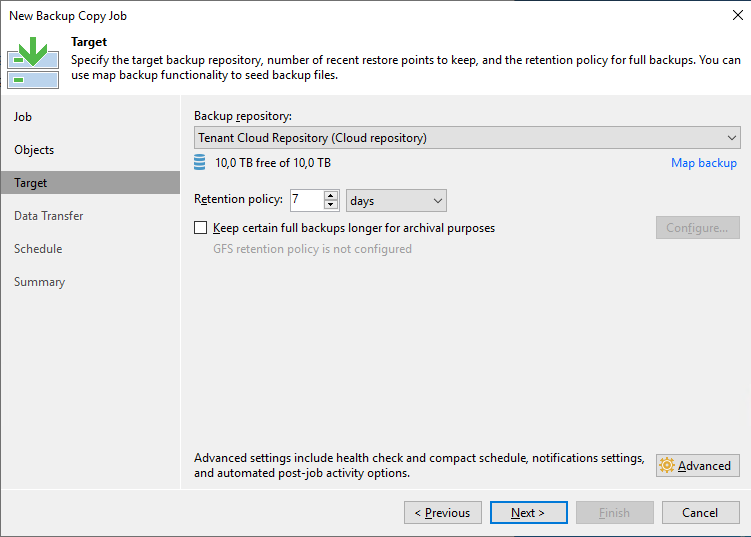 A backup or a backup copy job is then configured in the same exact way, regardless the final destination is a local repository on the tenant&apos;s premises, or a cloud repository exposed via Veeam Cloud Connect. 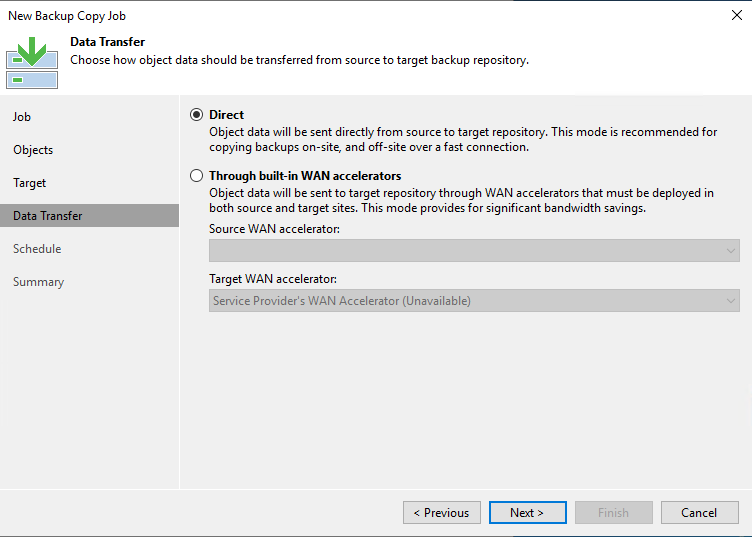 The service provider doesn&apos;t have all the details the tenant has, but it can check the progress and list how many jobs and virtual machines is receiving at any given time.